Vape must use the rectangular cardboard box packaging style? 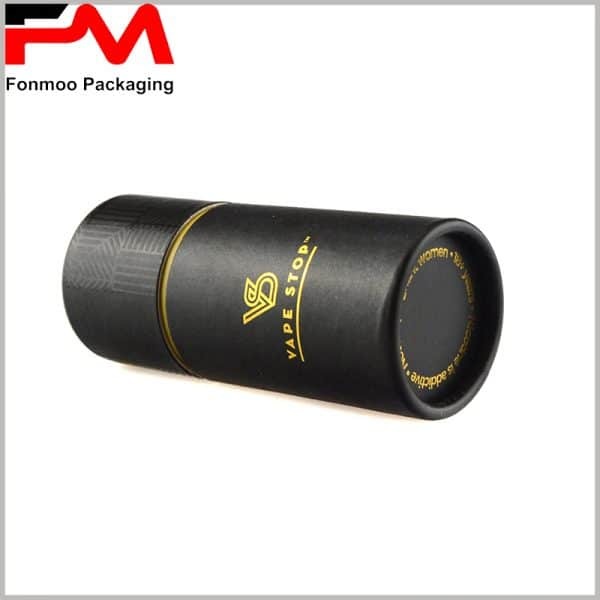 You can try using black paper tubes packaging as an e-cigarette and smoke oil package. Although more than 60% of the essential oils are in the form of paper tube tube tubes, none of the 80% electronic cigarettes use round boxes.Why don’t we make this change? According to the size of the electronic cigarette, the diameter and height of the cylinder package are determined, and the style and size of the internal EVA are determined, so that the vape can be perfectly embedded inside the paper tube package. The use of hot stamping and emboss printing increases the visual experience of the package. 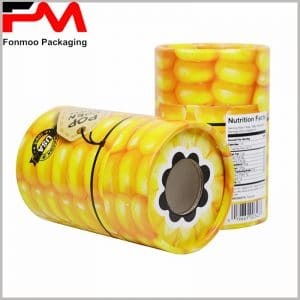 The plaid of the wrapping paper cover is printed by emboss, and the logo, brand name, and website address are printed using hot stamping. 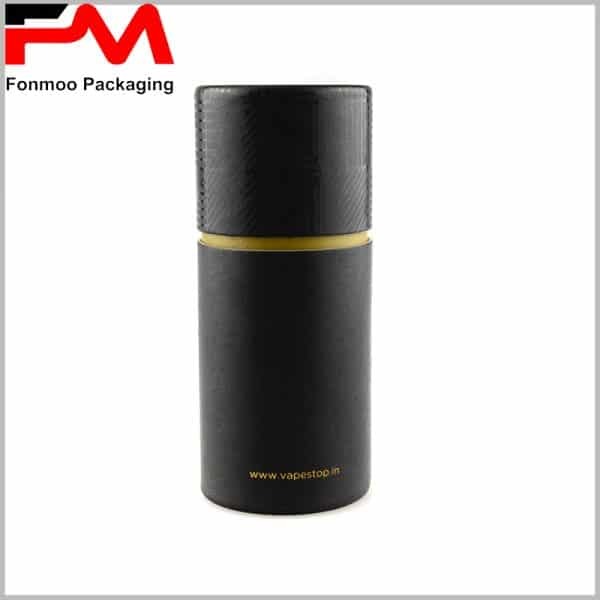 Simple packaging design, the choice of printing process is also monotonous, but it can maximize the high-end and luxury of the product. 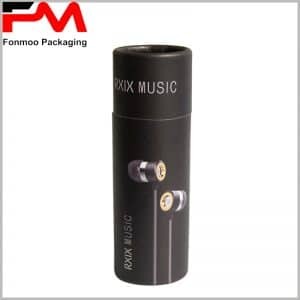 What we show you is just one of the cases in the paper tube packaging we offer. Since we are a custom packaging manufacturer from China, we are able to offer you a variety of cardboard tubes packaging for cosmetics, gifts, essential oils, shirts, candles, electronics and more.